Blue Coat Awards - Every year, the Council hosts a dinner to recognise the First Responders and outstanding citizens in the surrounding community. Parish Dinners - The Council hosts a parish dinner each month from September to April. The menu varies, sometimes dinners are themed around a different country. The food is always good, and the fellowship is exceptional. Men's Retreat - The first Saturday in lent we gather to share our faith, and to ready ourselves for Easter. Family Picnic - Fun and games in the sun (we hope) with all the traditional "cook out" fare. Chrismas Openhouse - Our Past Grand Knights supply all the food and Christmas Cheer as we get together to celebrate the Holiday Season. Church Festival - The Council chairs a booth every year as well as supplies support to many others. Memorial Mass - In November, close to All Saints Day, we remember all the Brother Knights who have passed into eternity, with a special mass. At the end of the mass we pray especially for all the Brothers we've lost in the preceeding year. Fifth Sunday Rosary - On months that have a fifth Sunday, we gather in church before the Sunday Mass and say the Rosary together. The rest of the congregation is welcome to join us. National Day of Remeberance for Aborted Children - In September, the Council joins Citizens for a Pro-Life Society, Priests for Life and the Pro-Life Action League in holding a solemn prayer vigil dedicated in memory of aborted children. Ladies Night - On the Saturday before Mothers Day, we gather to show our appreciation for the special women in our life. The meal is catered and we pull out all the stops with real table cloths and table settings. Each lady get's a special gift from the Grand Knight. 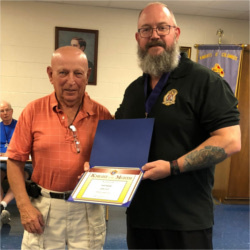 Knight of the Year Banquet - We close out our fraternal year by recognising one member whose service and dedication to the Order, Church and Community sets him apart from all the rest. We do so with a catered dinner on the evening before Fathers Day, with a special award presentation. The Members Lounge is open from 7:30 PM until closing every Thursday except on the Second Thursday when it opens after the Business Meeting. 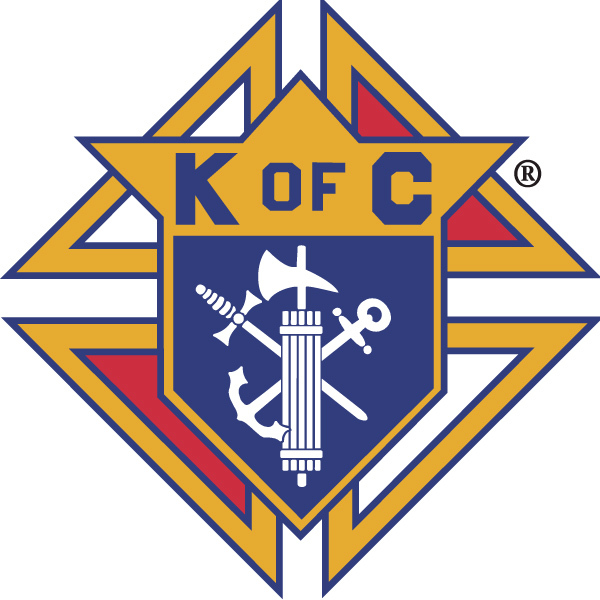 Monsignor Buckley Assembly #822, of the 4th Degree meets on the Second Monday of the month at 7:30 PM. Wives and non members socialize during the meeting and a social is held following.